The first Chinese Abacus was invented around 500 B.C. The abacus, as we know it today, was used in China around 1300 A.D. often referred to as the first computer, the Abacus is an instrument used to perform arithmetic calculations and is still used today. Abacus is a Latin word that has its origins in the Greek words abax or abakon (meaning “table” or “tablet”) which in turn, possibly originated from the Semitic word abq, meaning “sand”. The abacus is one of many types of counting devices which are used to count large numbers. The abacus is a basic mathematical computing device. It is still widely used today as a visual aid to facilitate the learning of mathematical concepts. Why does the abacus exists? It is difficult to imagine counting without numbers, but there was a time when written numbers did not exist. The earliest counting device was the human hand and its fingers, capable of counting up to 10 things; toes were also used to count in tropical cultures. Then, as even larger quantities were counted, various natural items like pebbles, sea shells and twigs were used to keep count. Merchants who traded goods needed a way to keep count of the goods they bought and sold. Various portable counting devices were invented to keep tallies. The abacus is one of many counting devices invented to help count large numbers. When the Hindu-Arabic number system came into use, abaci were adapted to use place-value counting. Most of the children fear mathematics and often try to escape from the complexities of problem solving. This is where the Abacus comes to the aid. The Abacus develops speed and accuracy in mathematics using very basic methods. It is also a brain exercise. There is a very important relationship between abacuses and mental math. Mental maths is the essential building block that replaces the physical Abacus in the child’s mind. 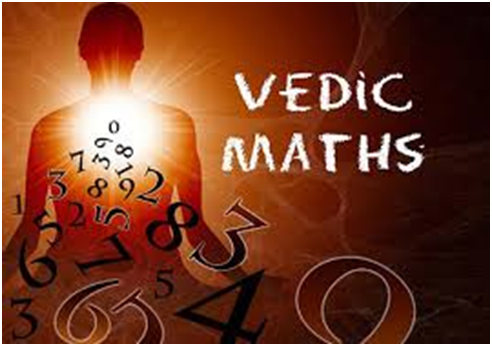 Vedic Mathematics is the surname given to a supposedly ancient system of calculation, which was “rediscovered” from the Vedas by Sri Bharati Krishna Tirthaji Maharaj. All of Vedic mathematics is based on 16 Sutras, or word formulae. The whole system is interrelated and unified, this unifying quality is very satisfying, it makes arithmetic easy and enjoyable, and it encourages innovation. • Do calculations many times faster than normal Math: this makes it the World’s Fastest. • Eliminates fear of Maths completely and makes it a Fun-Filled way to do Math. • Impacts Academic Performance in School and Instant Improved Results. • Sharpens the mind, increases mental agility and intelligence. • Increases speed and accuracy – improves mental calculations. Modern day education throughout the world does not offer a systematic program for research in consciousness and generally is unaware of consciousness and its applied value, teachers have been unable to provide lease knowledge. As a result, it leads to unwillindness and disinterest in subjects. Lack of relevancy leads to a lack of motivation to learn, which in turn produces a substandard level of academic performance and problems with social behavior. Parents find that students are simply not growing, not making use of their full creative potential. Mathematics education unfortunately follows this pattern. Due to education’s lack of knowledge about consciousness and how to develop it fully, problems persist in mathematics education. The 1990 National Assessment of Educational Progress (NAEP) states that “only slightly more than half” of eighth and twelfth graders like mathematics and that enjoyment of mathematics declines with years in school. Maharishi’s Vedic Mathematics fulfills the need in mathematics education for complete knowledge of consciousness by providing the understanding, experience, and development of consciousness as the student learns mathematics. We are disseminating the knowledge of ABACUS and VEDIC MATHS for bolstering the understanding of mathematics at an elementary level with accurate standards. To this effect, we are committed to upgrading the quality of teaching maths, with the support of a dedicated team of trainers with vast experience and excellent track record. IIVA has launched Govt. certified courses for T3 (Train The Trainers) programs, training candidates who are 18yrs or above in both online and offline mode. You don’t need to wait for franchise approval to start a new centre or business venture in the field of Abacus and Vedic Maths. We are creating Govt. 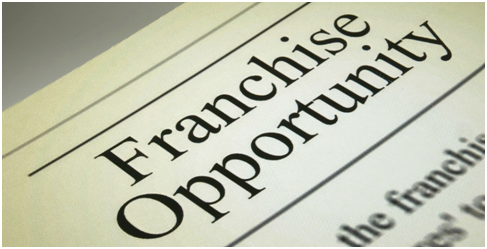 certified entrepreneurs, who can start their own franchise right away, from day one of joining the course. Also, the course will be beneficial for upskilling existing practitioners, who are already teaching Abacus and Vedic Maths, like school teachers and parents.